So you’ve sent out your email newsletter. You had your mailing list clean and organized. Your email design looked great, and you knew exactly when to send your email. You took the time to test your email so that it appeared correctly and went out at the right time. It’s time for email marketing measurement to asses the results and impact on your campaign’s purpose. The most basic measurement that’ll be the baseline for the rest is your open rate. The design elements that usually determine your open rate are your subject line, from label, and preheader. As I explained in my previous article on email design, you need to have a subject line that draws attention. You should take advantage of the preheader to further draw interest, and your from label should be personal (a name, for example). 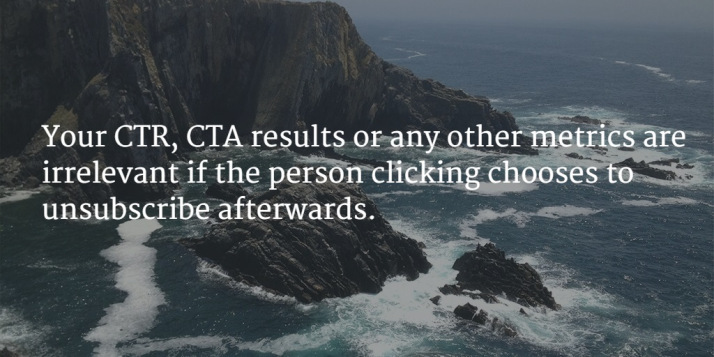 Your CTR and CTA results occur when a recipient clicks on a link in your email, whether it be your main focus or an extra addition. You’ll want your CTA to be the most noticeable link in your email, but having secondary links can help you get recipients to act as well. The main purpose of your email should be to get people to a different location, such as a landing page, for further action. The most negative result of your email campaign is if a recipient unsubscribes to your newsletter. When this happens, you’ve lost that person’s attention and interest. You’ve likely even annoyed them to an extent. This is a lost opportunity you don’t want to experience. Depending on what campaign service you use, you may allow recipients to respond directly to your emails. This is preferable because it gives your campaign another way to get people to act on your emails. It also allows recipients to provide feedback on the different elements of your email campaign. When I started getting overwhelmed by all the emails coming in from my subscriptions, I started to unsubscribe to the ones that appeared too often or were becoming irrelevant. However, sometimes the unsubscribe process included a webpage that asked me why I wanted to unsubscribe. When that appeared, it often made me second guess my decision. Also, if the webpage asked me to change my email preferences rather than unsubscribe, I often chose that route instead. Although not directly to measurement, when you see that people are choosing to change preferences or second-guess their unsubscribe decision, that’s a big deal. Take advantage of this opportunity with your own campaigns by checking your provider’s features. The important thing to remember is: your CTR, CTA results or any other metrics are irrelevant if the person clicking chooses to unsubscribe afterwards. Do whatever you can to prevent the dreaded unsubscribe: allow people to limit the number of emails or offer the option for people to explain why they’re unsubscribing. You just might learn what you need to do to keep your recipients around. Do you know what you want to measure but don’t know how to do so efficiently? That’s where this GetResponse article comes into play: 4 Analytics Dashboards to Dominate Your Email Strategy. In this article, GetResponse offers the recommendations you’ll need to measure your results in the most efficient way possible. Their advice on your newsletter goals is key, in my opinion. You can measure all the metrics in the world, but if you don’t know how to determine their impact on your newsletter goal(s), you’re wasting your time. 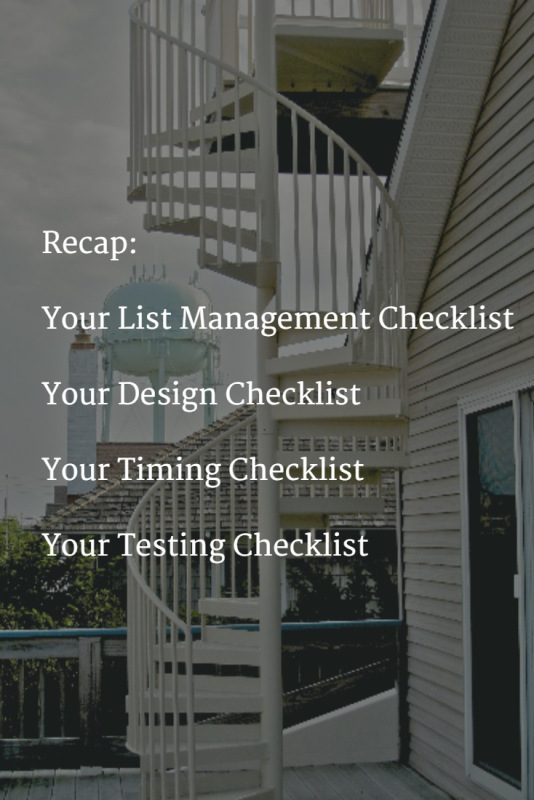 Now that you know how to maintain your email list, design your email, confirm a day and time, test and measure, you’re bound to see the results you were looking and hoping for. You’ll always have things you need to improve upon, but if you follow the necessary steps, you’ll reap more benefits than otherwise. Have an opinion? A question? Leave a comment!